It is possible for your tonsils and adenoids to grow back following a tonsillectomy or adenoidectomy if your surgeon does not completely remove all of the lymphoid tissue during surgery. Even a very tiny amount of tissue can cause them to grow back. However, this isn't a common occurrence. There are certain factors that may make your tonsils more likely to grow back, such as if they are removed before they normally would have stopped growing. 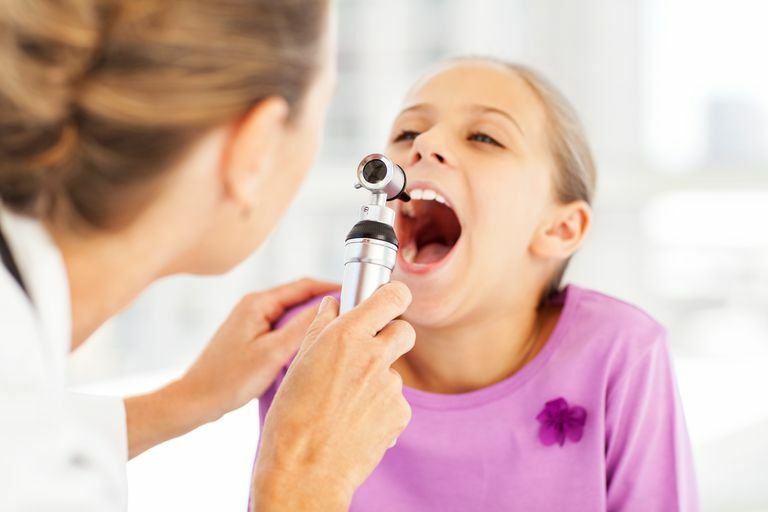 Under normal circumstances, tonsils and adenoids tend to grow at a fairly steady rate until you are about 8 years old. At this point, they begin to shrink. Your adenoids will have pretty much disappeared when you reach adulthood. If you have your tonsils removed before about the age of 8 it is more likely that they will grow back. Given the amount of time it takes for tissue to regenerate and a naturally limited growth period, it's unlikely that should your tonsils grow back, they will ever grow back to their original size and cause you as much grief as they did before your surgery. Typically when you have your tonsils removed, your surgeon will use a method known as extracapsular tonsillectomy. This means that your surgeon will remove all the tonsil tissue during your surgery. Another less commonly used method, intracapsular tonsillectomy (also known as tonsillotomy), involves the surgeon removing the majority of your tonsils but leaving a thin layer of tonsillar tissue. This method involves leaving the outer portion of the tonsils intact in order to reduce pain and decrease the risk of bleeding. Leaving tonsil or adenoid tissue intact increases your risk for needing a second surgery and increases your risk for having unresolved, also known as refractory, symptoms. How Can I Tell if My Tonsils Have Grown Back? If you were under the impression that you would never have another strep infection after having your tonsils removed, you might panic the first time you get a sore throat. While research shows a significant decrease in the number of infections experienced by people who have their tonsils out, you can still get throat infections after having them removed. Just because you get a throat infection does not mean that your tonsils have grown back. If your tonsils are growing back, you might see bumps where your tonsils used to be, or they may become infected and swollen. This is generally not a concern unless they start causing problems. If you start having chronic throat infections or symptoms of sleep apnea, you should talk to your doctor about the possibility that your tonsils and/or adenoids have grown back and then proceed from there. If you are one of the very few people whose tonsils grow back to a noticeable degree, you can expect your doctor to treat the regrowth in much the same way he or she treated you before your tonsillectomy. If you have strep infection you will be given antibiotics. Enlarged tonsils can sometimes be treated using steroids (more research on using steroids to shrink tonsils is needed but preliminary studies have been promising) and, as a last resort, the regrowth can be surgically removed if necessary. Your doctor probably won't recommend another tonsillectomy unless your tonsils have grown back because they are malignant (you have tonsil cancer), you are having frequent infections, your enlarged tonsils are causing you difficulty in swallowing or breathing, or your sleep apnea has returned. The most common reason for repeating an operation on tonsils is sleep apnea. Because it would be extremely rare for your tonsils to grow back, however, and even more rare for them to become large enough to cause sleep apnea, this is unlikely. Odhagen, E, Sunnergren, O, Hemlin, C, Hessén Söderman, AC, Ericsson, E & Stalfors, J. (2016). Risk of reoperation after tonsillotomy versus tonsillectomy: a population-based cohort study. Eur Arch Otorhinolaryngol. 273:10. 3263-8.